With the HSE’s focus on competence assessment and the new ALG guidance on the subject, stay compliant with the Assure360 system. Simple and cost effective, the revolutionary Assure360 system gives you unparalleled control of the asbestos removal process. 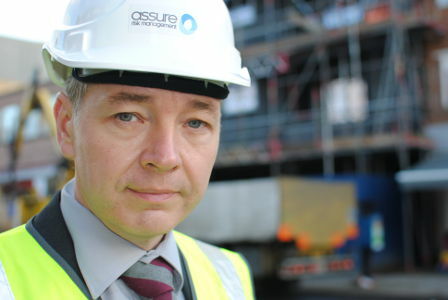 Assure Risk Management offers professional Health, Safety and asbestos advice to blue chip organisations as well as the construction industry and removal contractors. Calling on over twenty years of experience, Nick Garland has provided expert witness testimony, acting on behalf of both claimants and defendants. Nick undertakes the duties of an outsourced H&S Manager for licensed asbestos removal contractors (LARCs). Fully integrating into your team, he provides expert advice cost effectively. With Assure’s asbestos awareness training you can safeguard the staff for whom you are responsible. Our practical approach demystifies the asbestos issue and can be done at a time and place to suit your needs.